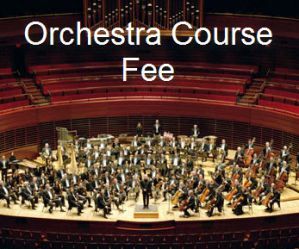 ORCHESTRA COURSE FEE includes Beginning, Intermediate, Advanced or Ensemble. Each class fee is $40. Please show receipt to your instructor.